With winter in full force, it’s a perfect time to celebrate polar animals! We’ve got a cozy ornament craft with a splash of learning too. We’re excited to share two new printables we’ve designed for you: a polar animals reversible ornament PLUS a polar animals learning sheet! 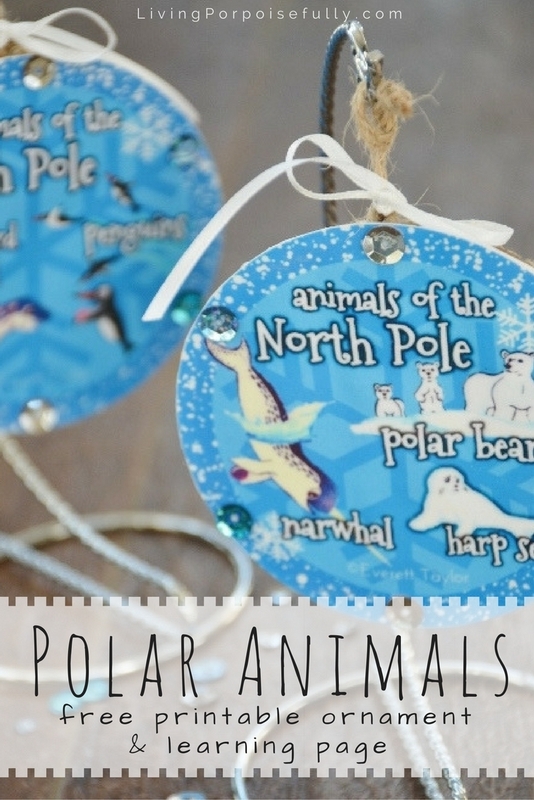 It’s a great way to have some crafty fun while celebrating the animals of the North & South Poles! Plus, kids can learn which animals live in each pole — something that is often times mixed up. The hand-drawn illustrations come from our near-and-dear children’s book Zale’s Tales: The Ocean Seeker, where Zale and his friends play hide-and-seek around the globe’s ocean, magically changing into real sea creatures. The ornament printable is incredibly versatile and simple: you can Mod Podge it to cardboard, wood, or metal. Or even a jar lid! You can make it double sided, or two separate ornaments. Tip: Use wax paper as a work surface to prevent sticking. While you’re waiting for it to dry, it’s a great time to learn about these spectacular animals! We’ve made a fun learning sheet for kids to learn the animal names and where their homes are. We hope you enjoy the cozy craft and celebration of polar animals! Oh how fun! I absolutely love this!